If you thought people dressing up as Joy-Con were cool, how about an actual playable Nintendo Switch cosplay? 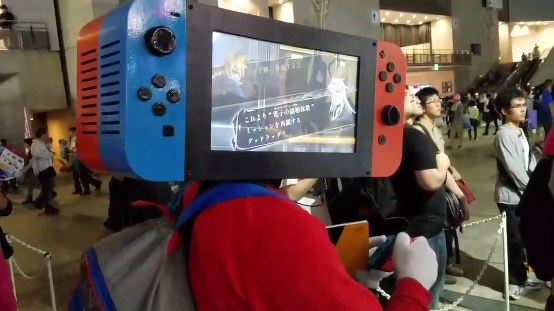 During Tokyo Game Show, Azure Striker Gunvolt developer Inti Creates spotted a cosplayer wearing a huge Nintendo Switch over his head. Both sides of the huge Switch had a large screen projecting footage from Azure Striker Gunvolt in real time.